Sea view and northern lights watching from the balcony? Got it! Once upon a time - in the late 1800's, to be more specific - a fisherman needed a home for his family, and with his own hands, all his savings and the help of a bunch of good friends he built a small wooden house by the sea. There they lived happily ever after, until one day they decided to travel the world and sold the house. They set out at sea one calm evening - the lamp at the top of the mast shone like a treasured secret from afar until it disappeared behind the horizon and into the great, wonderful unknown. Or at least that's what we'd like to think. In any case we did buy the house, and it is true that a fisherman lived here for years and years. 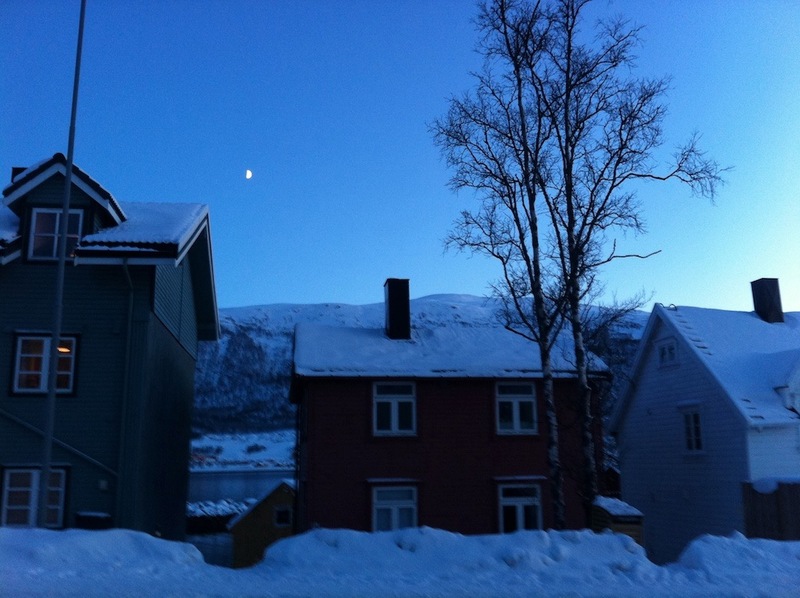 Today the wonderful, quirky, cozy house could be yours to enjoy in the evenings after you've been out all day exploring Tromsø. We have put a lot of love and effort into it to make it as comfy and inspiring as possible, and we hope you will love it as much as we do. There are only four rooms in the house; two doubles and two singles. All of them have room for an extra bed. The rooms are quite spacious and lovely decorated with amazing wallpapers. Up in the kitchen (where you can cook to your heart's content) there's a fireplace and honestly the cozy living room attached to it is one-of-a-kind. The best part? There's a balcony from where you can gaze up in the night sky with a cup of tea in your hands while you wait for the amazing northern lights - or aurora borealis if you wish - to dance over the sky. Feeling cold? Just pop inside again for a minute and put another log on the fire. Or if you're here in summer you can just put your legs high and enjoy the view over the sea - the sun never sets from May to August so the view is there whenever you want it. And speaking of which - don't be afraid that the ever shining sun will disturb your sleep; we have installed completely light-proof curtains in all bedroom windows. What else? Not much. Your presence is the only thing missing. You can fix that and take part in this ongoing, real life fairytale by clicking the yellow button to the right. Come on, you know you want to!